Neighborhoods across the city tend to grow and change over time. Some decline, some improve, some are erased for new development, and some struggle to keep their unique identity intact. 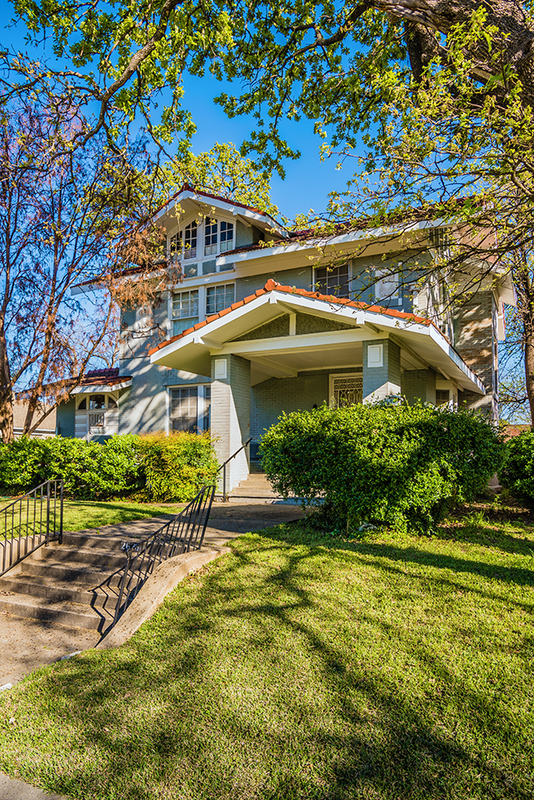 The South Boulevard/Park Row neighborhood is one of change and resilience, holding on to its architectural significance for over 100 years, a rarity in Dallas. 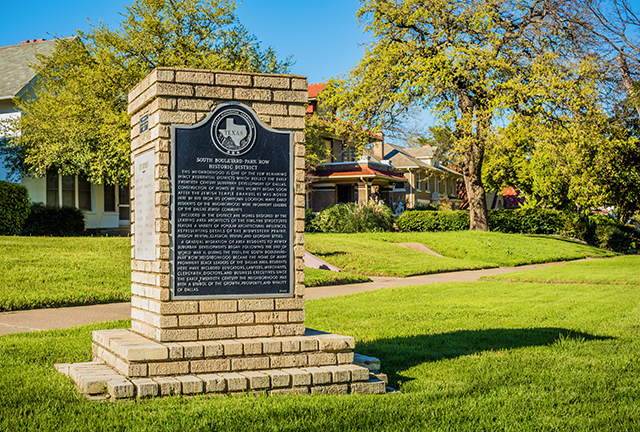 Its architectural and cultural significance was recognized in 1976 when it became the city’s third local historic district after Swiss Avenue and the West End. It was also listed on the National Register of Historic Places in 1979. 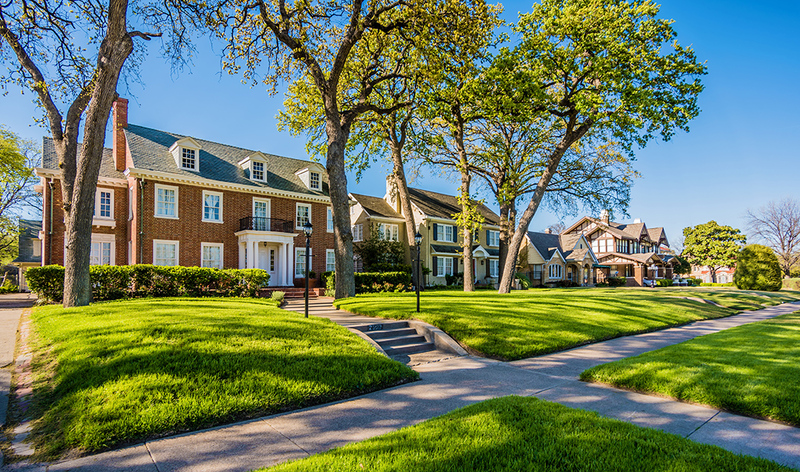 The South Boulevard/Park Row neighborhood was originally part of the larger exclusive Edgewood Addition, established in South Dallas near Fair Park in 1910. At the time, the neighborhood rivaled Munger Place and Highland Park in architecture and affluent residents. 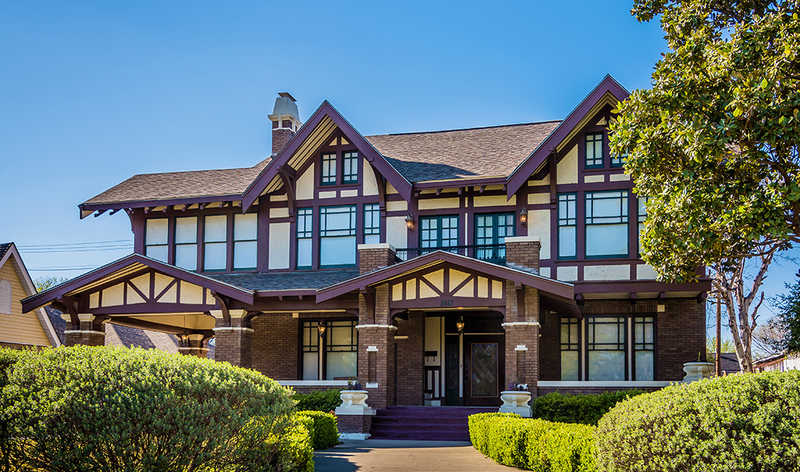 Fine homes were constructed along South Boulevard and Park Row and were developed at the same time as Swiss Avenue, using many of the same architects: Lang and Witchell, George Dahl, Roscoe DeWitt, Hal Thomson, Clifford Hutsell, Peterman, Overbeck, and Hubbell and Greene. Grand homes were designed for the broad tree-lined streets and set far back on the lots to provide generous front lawns for socializing. 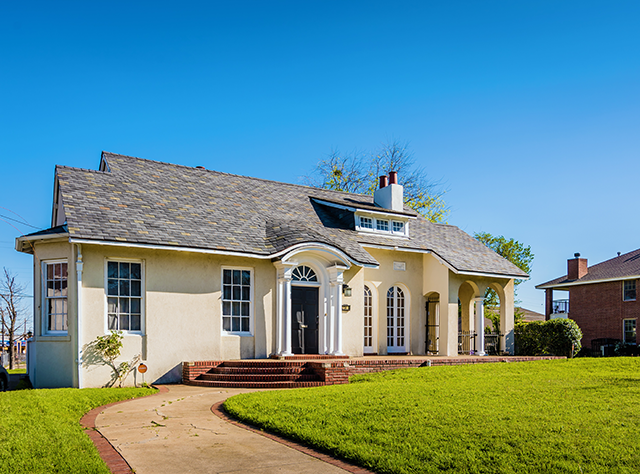 House styles ranged from Craftsman, Georgian Revival, Mission, and Prairie, and were heavily influenced by the Chicago motif. The neighborhood was settled by many prominent Jewish families who moved from the Cedars neighborhood to larger and more substantial homes. In 1917, Temple Emanu-El relocated to the corner of South Boulevard and Harwood Street. The congregation built a large Classical-styled temple designed by Hubbell and Greene to replace their temple near downtown, which it had outgrown. The relocation encouraged even more Jewish families to move to the area to be closer to the temple, their place of worship. Some of the more prominent Jewish families who built houses in the neighborhood included Herbert Marcus, co-founder of Neiman Marcus; Abraham Kahn, a member of the family which owned the oldest continuously operated department store at the time; Ascher Kahn, a member of the Linz family, one of the leading jewelers in the southwest; and even the family of Henry S. Miller Sr., who developed the highly successful real estate company bearing his name. 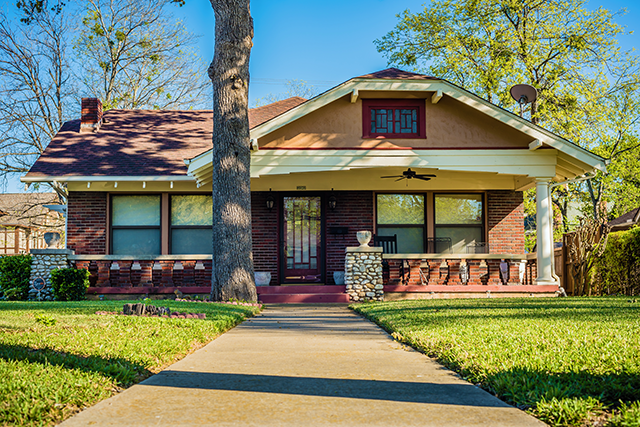 After World War II, many of the Jewish families began to relocate to the newer suburbs in North Dallas. The homes they left were purchased by many of the prominent African-Americans in Dallas including doctors, lawyers, and businessmen. In 1957, Temple Emanu-El moved once again, this time to North Dallas, to a new larger complex designed by Howard Meyer. As the area around South Boulevard/Park Row began to decline in the 1970s and Forest Avenue (now Martin Luther King Jr. Boulevard) became more commercially focused, the prominent families along the two streets of South Boulevard and Park Row supported the creation of a local historic district to protect the neighborhood from unwelcome changes and alterations to the numerous architecturally significant houses. This was a bold step for the time and the neighborhood became the first African-American historic district in the city, as well as one of the few such districts in the country. That designation has helped the neighborhood maintain its popularity and character. Today the South Boulevard/Park Row neighborhood maintains much of the same character it did from its early development thanks to the hard work and dedication of its residents. The grand homes have been well cared for and several of those that were in rough shape in the past few years are now undergoing rehabilitation. This neighborhood is an excellent example of one that has gone through changes and resolved that it wanted to protect its assets for the future. 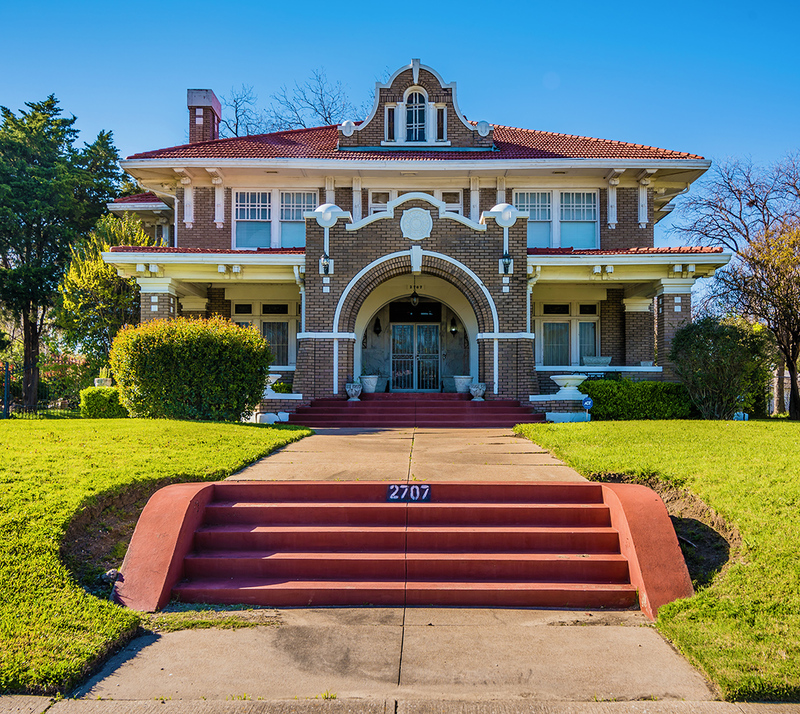 In doing so, it is one of the most unique cultural and architectural neighborhoods in Dallas.